This is insane: more than 28,000 visitors came to read Part I of “HFT in my backyard”. Some of them are inevitably bots, but my logs reveal the majority to be human readers from bank desks, technology providers and so forth. Who would have imagined a simple map would garner such interest? Microwaves have been used for HFT since 2010 after all. Since so many readers want to learn about these networks, allow me now to continue my story. 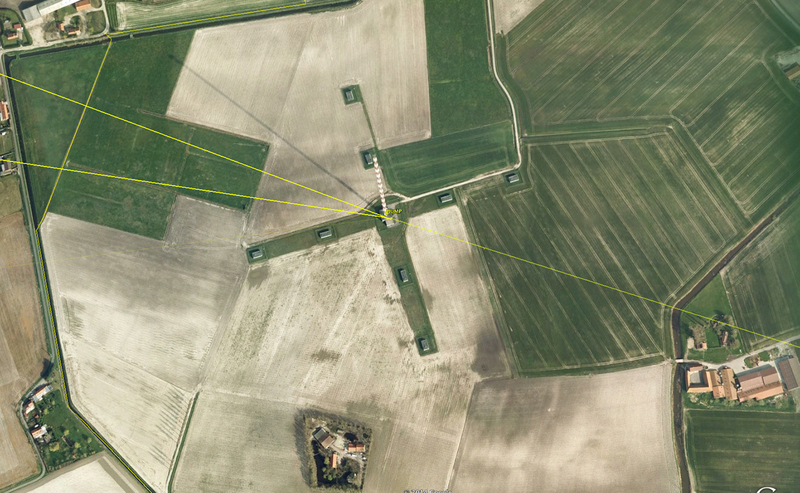 In order to give you a clear picture of what to find on the map and how to locate all these towers, let’s return to Houtem. In the US, the New York Stock Exchange (NYSE) is currently located in Mahwah, in New Jersey. For the Lenape people who originally lived there, the word mahwah meant “Place Where Paths Meet” – a perfect description of a present day exchange. 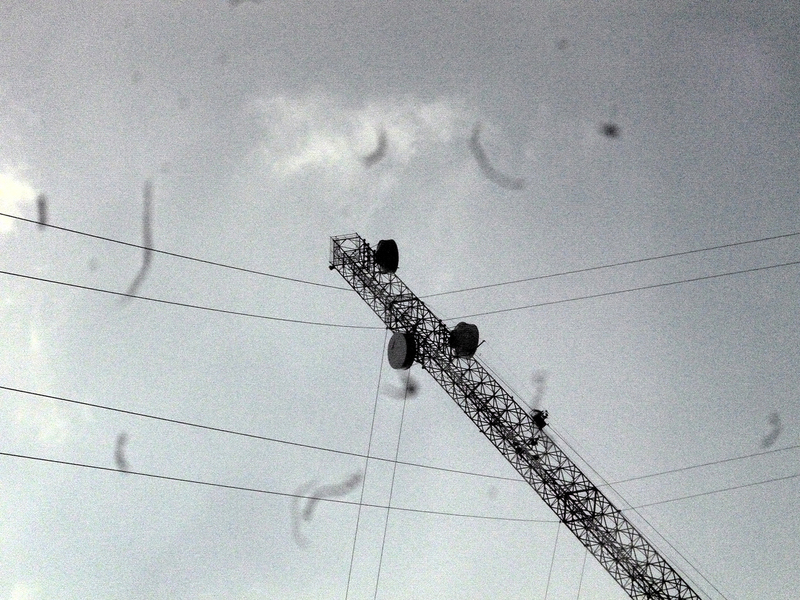 At NYSE, co-located traders meet in a data center, and microwave paths converge on the roof. In Europe, there are two main data centers in England near London: one to the east in Basildon, the NYSE facility housing the Euronext/Liffe exchanges plus Goldman Sachs’s dark pool Sigma-X; and one to the west in Slough, the LD4 data center containing the BATS exchanges. Frankfurt, Germany is home to the Equinix FR2 data center which hosts Deutsche Börse and Eurex. There are two types of competitors in the very small world of microwaves. First are HFT prop trading firms: Chicago-based Jump Trading (aka World Class Wireless), Dutch companies Optiver and Flow Traders (aka Global Connect) and DRW (aka Vigilant Global). Some of these firms sell part of their bandwidth to other customers. Second are actual providers: McKay Brothers, Custom Connect and, more recently in EU, NeXXCom or Latent Networks. Their customers are banks, hedge funds, even other HFT firms. 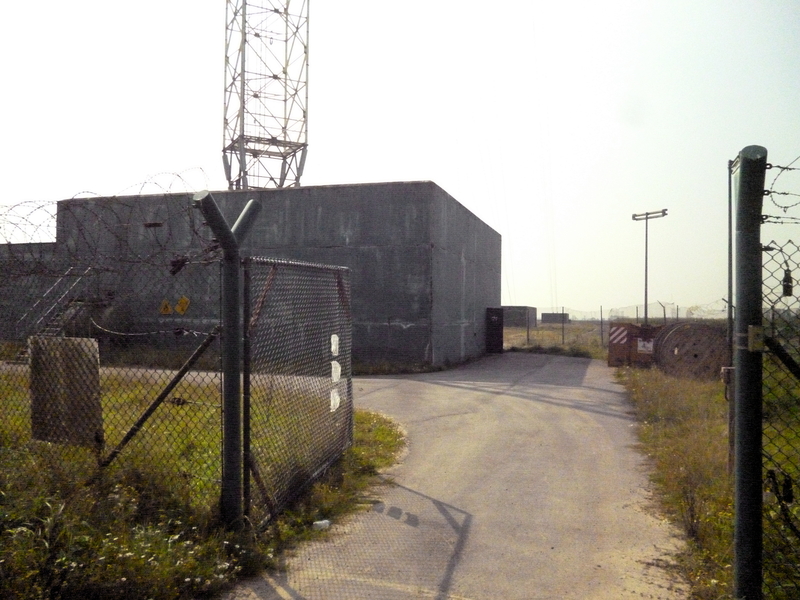 Some like McKay are only interested in the Frankfurt-London path, while others such as Optiver, Flow Traders, Jump and Vigilant also join the Atlantic Crossing 1 cable landing station in Whitesand Band, Cornwall, England, to allow data to cross over the Atlantic and go straight to Chicago using US microwave networks. Let’s start with Jump Trading. 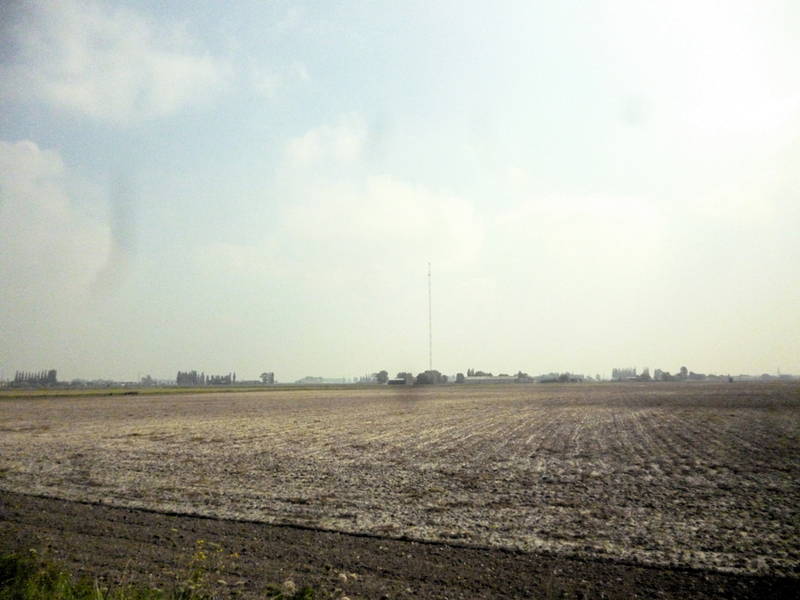 Contrary to the legend, the Houtem tower featured by Bloomberg was neither used nor owned by NATO; rather the tower was built by and for the US Army in the 1970s. 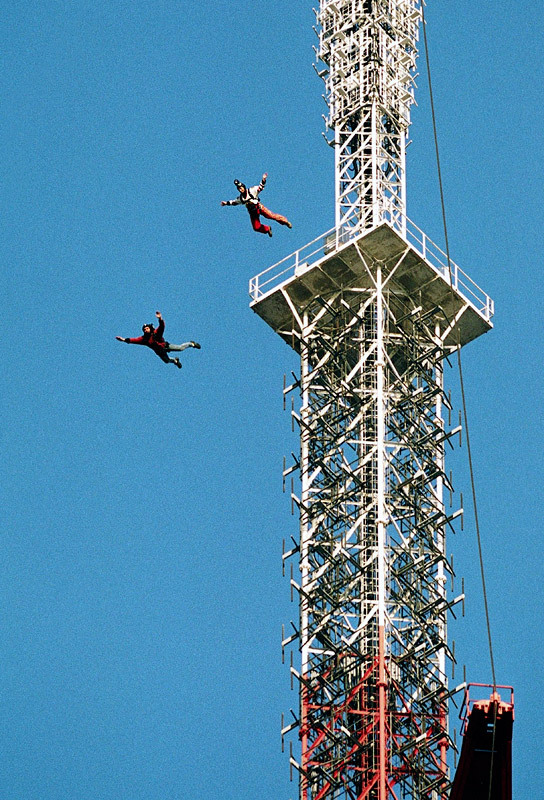 The tower (and two others located in Belgium, one of which is also now used by Jump) was sold to Belgium in 2006. 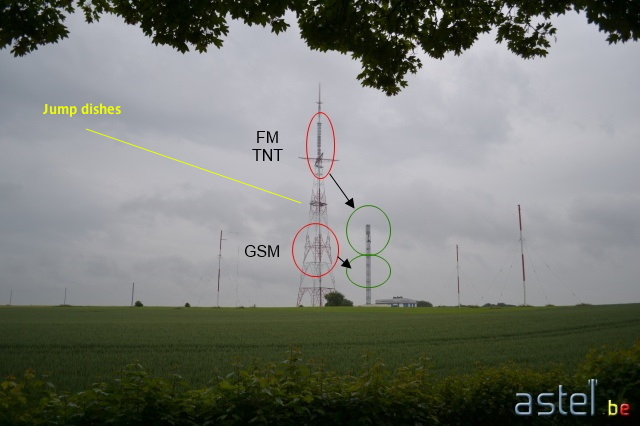 “The Department of Defense announces today the decision to inactivate and return three microwave radio relay sites to Belgium. (…) Closure of these sites will result in an estimated annual savings of over $84,000 based on a comparison of the current annual operations and maintenance costs to an annual replacement commercial communications cost,” wrote the US Department of Defense. 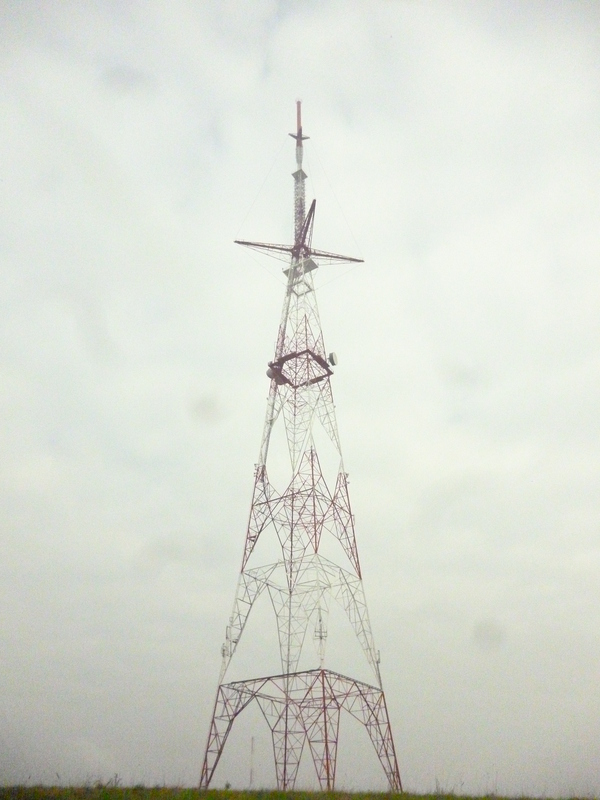 In 2012, the Belgium Ministry of Finance used the same money-saving rationale to auction the tower. The sale took place in Veurne on December 18, 2012. While the auctioneer is now retired and my request for his phone number was refused by the Services Patrimoniaux office, I did speak with someone who attended the auction. Only eight people attended: the auctioneer, his assistant, a government official, and five potential buyers – two or three Americans including a Jump representative, one large Belgian law firm probably acting on behalf of a competitor and a single observer. Prior, the prospective buyers had all visited the Houtem tower in situ so they entered the auction knowing the tower was in poor shape and required renovations my informant estimated would cost the winner $1,000,000. 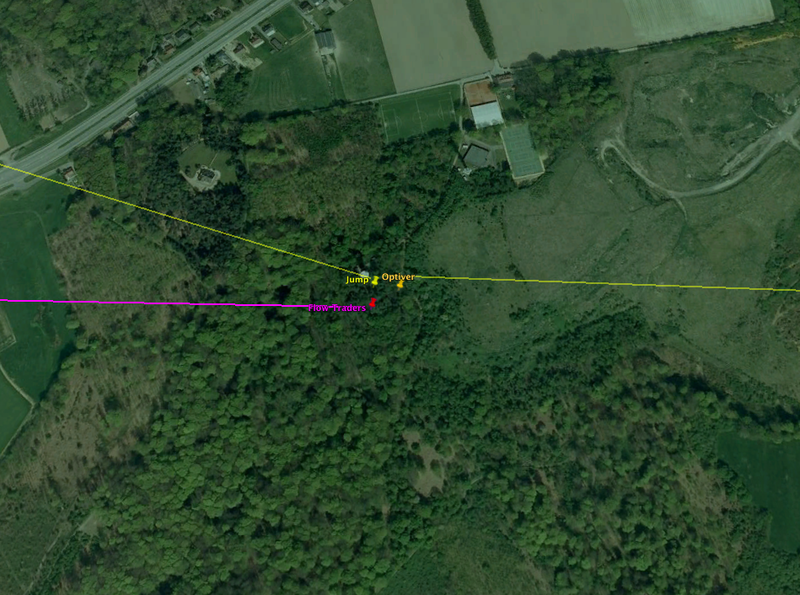 The starting price was €255,000 and the Belgium government would have been very happy with €400,000. The first tick-size was a €5,000 increment, but after half an hour the price was at €700,000 and the tick-size was increased to €10,000 accordingly. The auctioneer didn’t know who the buyers really were or why they’d have such interest in a lousy old tower; this unexpectedly high price left him perspiring nervously and calling for a break. Collecting himself in the bathroom, he exhaled quietly, bewildered, “What the hell…” The auction resumed, bids climbing to €1,000,000, €1,500,000, €2,000,000. At this point the auctioneer asked for another pause. Finally, after three and a half hours, the tower was sold for €5,000,000. One attendee quickly left, as his car was parked in front of a police station and the meter was long expired. 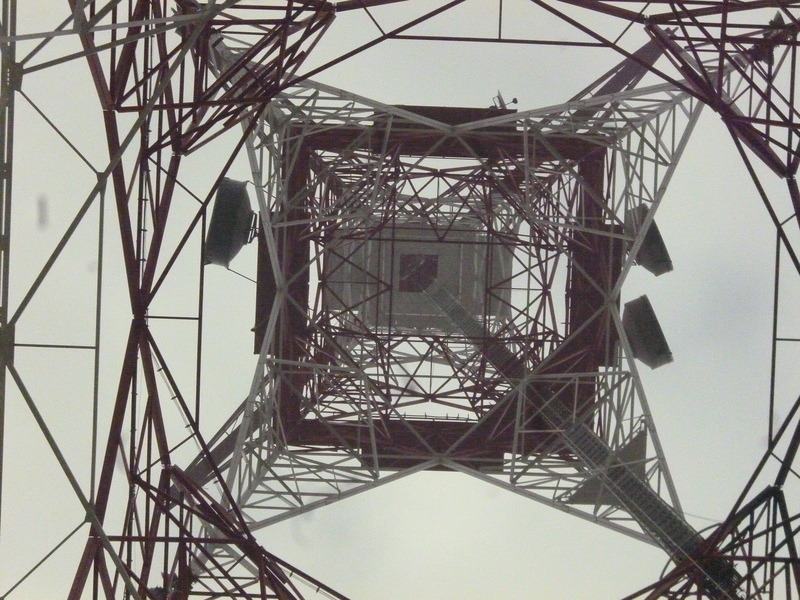 Another losing bidder approached Jump to ask, “Can’t we arrange?” meaning their company would purchase bandwidth or rent some dish space on Houtem tower. I wish I had been a fly on the wall to confirm my suspicions about which competitor attempted to make arrangements with Jump at the auction deep in Flanders that day. 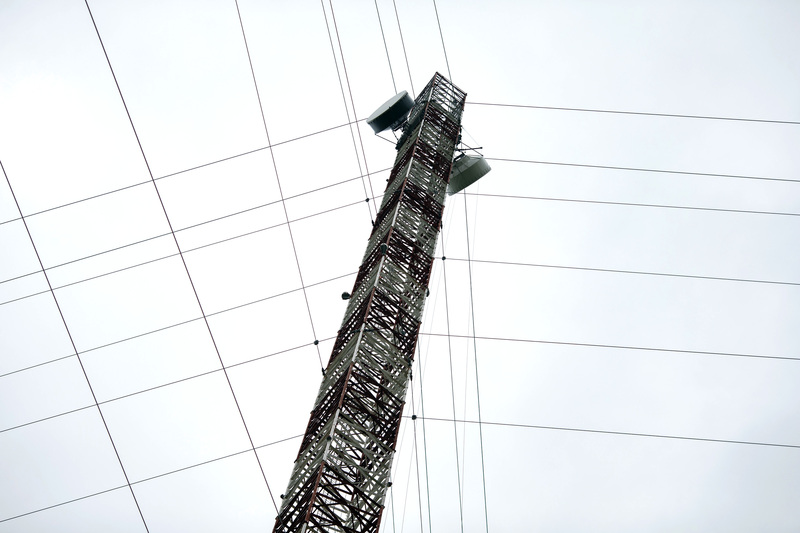 I was actually more interested in trying to jump and climb the tower than cutting the power, but the worker came back so I disappeared quietly. 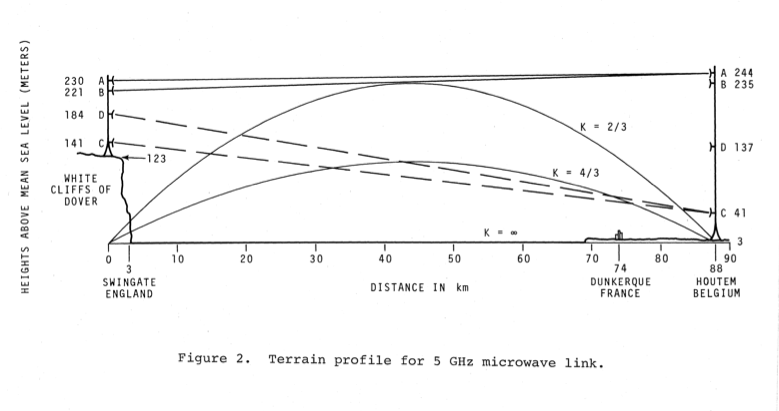 Without getting too deep into the physics, microwaves don’t travel in straight lines. Depending on atmospheric conditions they bend more or less and mostly downward. This generally extends the reach of towers beyond the straightforward result that Euclidian geometry would yield. 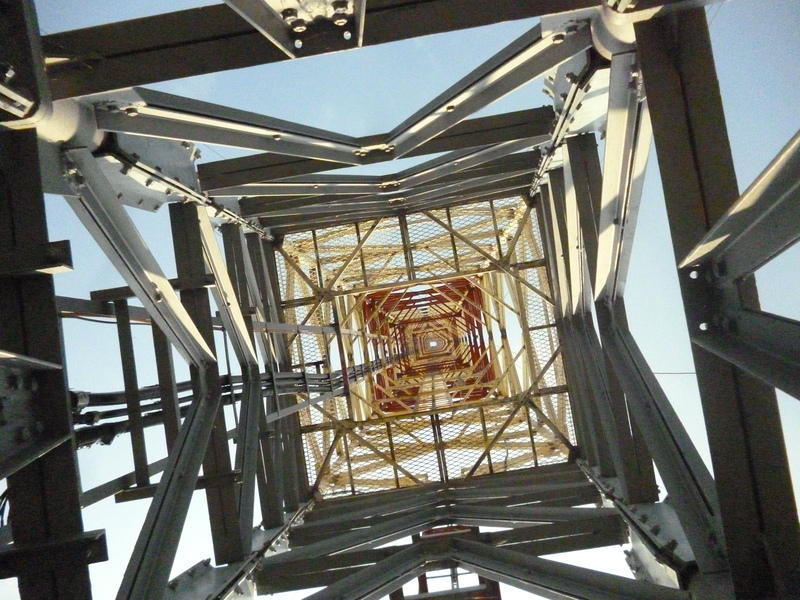 Jump’s tower provides only a very limited advantage because the extra distance is proportional to the square root of its height whereas it’s price is more than linear in height. I have not found anyone who has understood why Jump paid such a large price. 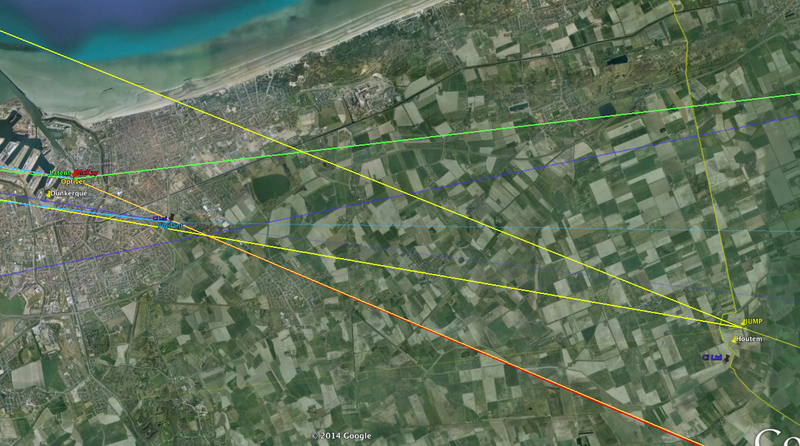 I don’t know if Jump was in Dunkirk before purchasing the tower, or if they used another tower in Calais (Mollien, 50°57’23.31″N | 1°52’19.86″E) to link to Swingate. 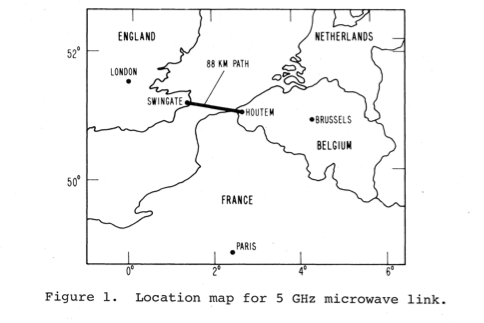 I do know that their current microwave route in Belgium is divided in two parts from Houtem: the Houtem-Swingate path enabling a way to Slough west of London, and the Houtem-Ramsgate path allowing access to Basildon east of London. 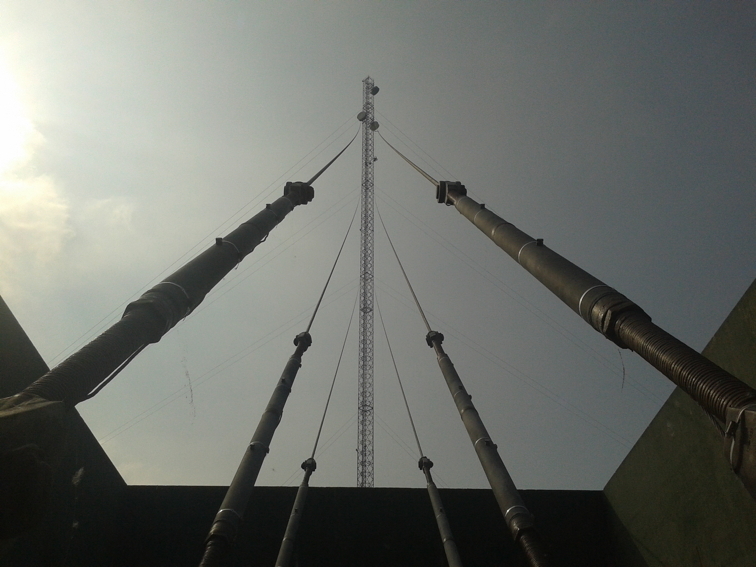 My reason for trekking to the Wavre tower was that it made big news in Belgium when it was sabotaged last spring. 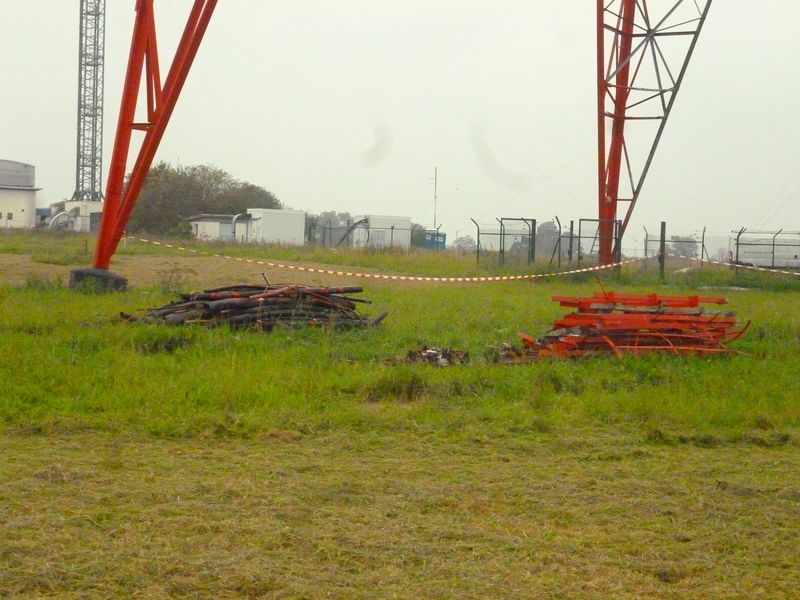 On the early morning of May 24, 2014, a few people started a fire which caused severe damage to the tower – this video coverage in French actually shows Jump dishes in a shot. 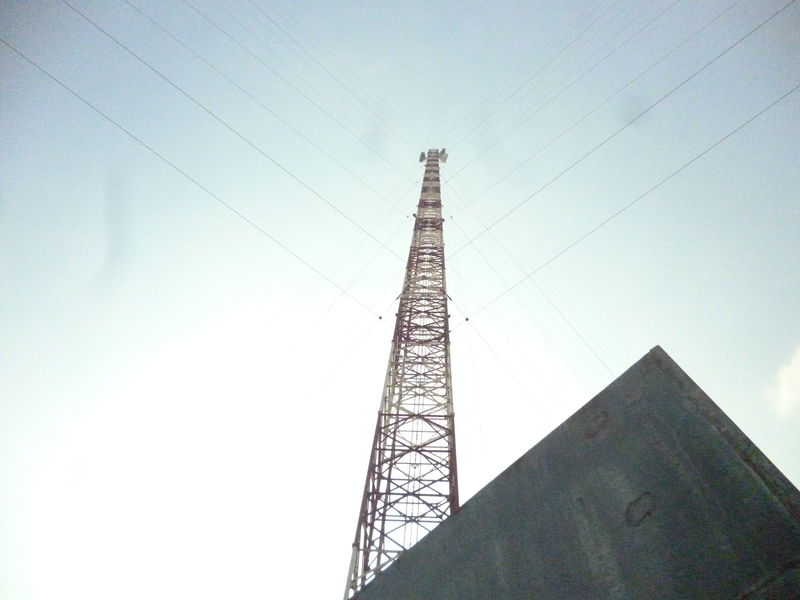 The tower is property of the Belgium national TV/radio operator RTBF but also supports many dishes used by mobile operators. The fire received such media attention because May 24 was an important election day in Belgium, and the police wondered whether the fire was related to the election. 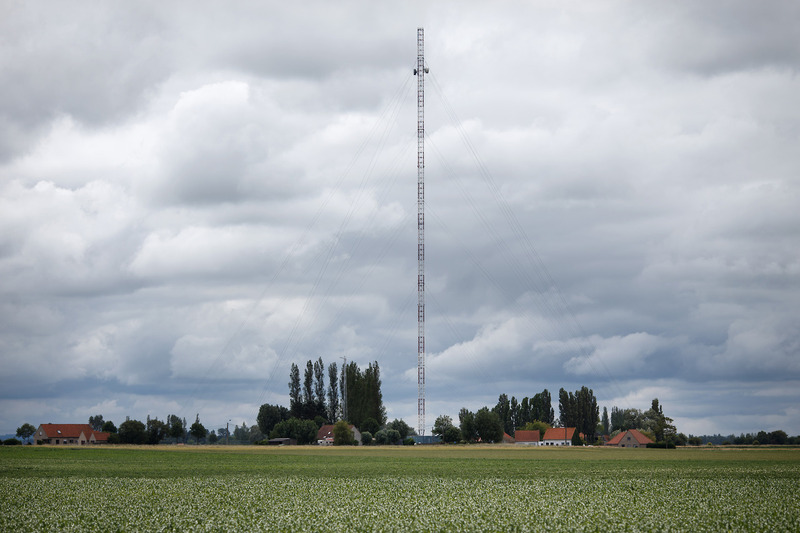 RTBF quickly erected a temporary tower to install mobile, TV and radio dishes, but the Jump dishes stayed on the tall tower because the 50 meter temporary one wasn’t high enough. 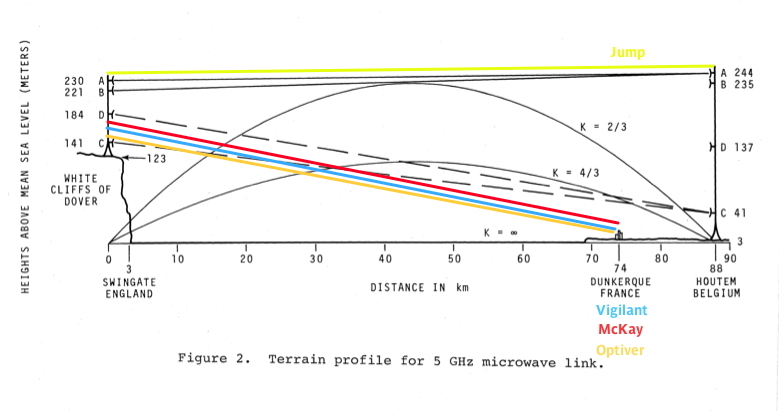 A microwave link can split bandwidth up into 10Mbps increments. The microwave link has an aggregate of 100Mbps. Every 64 byte packet send over these links takes 6 microseconds and change to serialize. Each participant sends 64 byte frames of trade data to the service. At 10Mbps clients can only send 1 packet every 60 or so microseconds. Now, imagine every customer in a service sends data at about the same time, a somewhat likely scenario due to the likelihood of one customer sending data nano or microseconds before the next customer and so on. 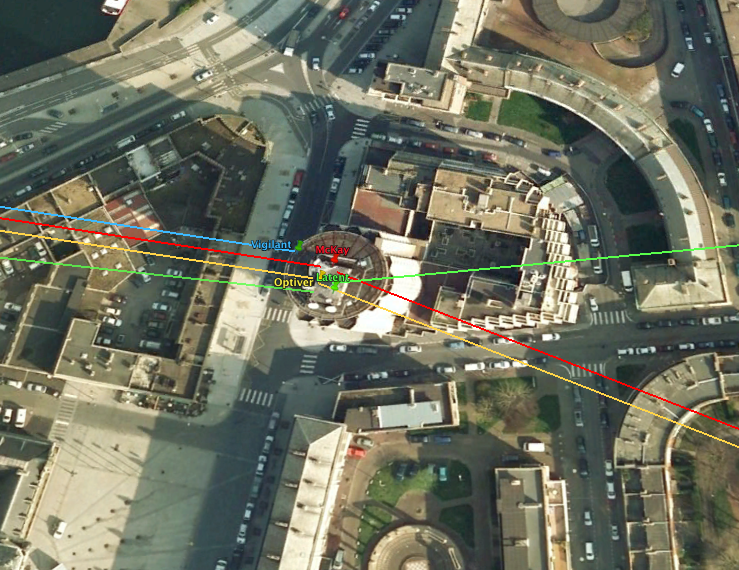 In this thought experiment, Customer 1 is first, taking 6 microseconds to serialize into the 100Mbps microwave link. Customer 2 sends their trade data 2 microseconds later, so they wait 4 microseconds to serialize and another 6 to actually serialize. Customer 3 sends trade data 1 microsecond after Customer 2, waiting 3 microseconds for Customer 1, then 6 microseconds for Customer 2, then 6 more microseconds to actually serialize. Customer 4 is quicker; they send their data 1 nanosecond after Customer 3. And wait 2.999 microseconds for Customer 1, then another 6 for Customer 2, then another for Customer 3, then another 6 microseconds to actually serialize. 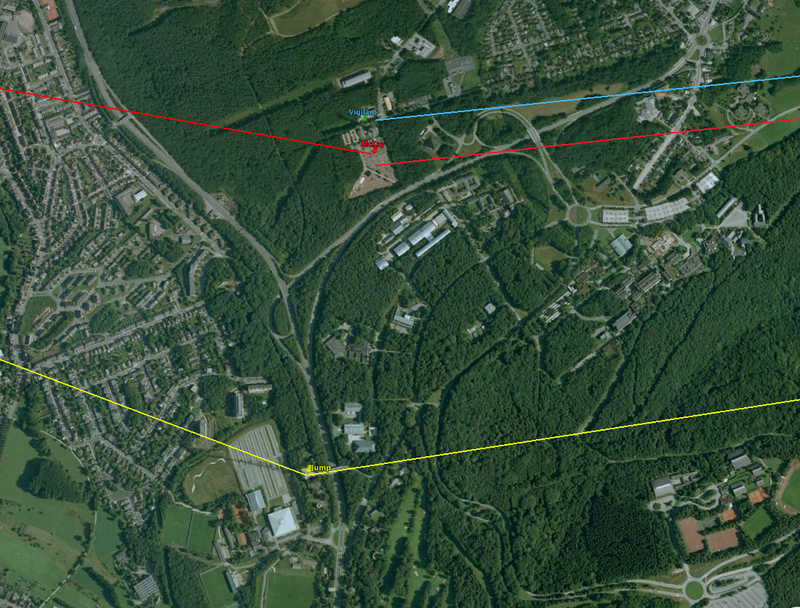 This example illustrates the supremacy of the owner of network in terms of speed in a shared bandwidth agreement. Jump shares its bandwidth with Perseus. While Perseus has additional customers, none will be as fast as Jump. This doesn’t mean Jump is the fastest operator in the HFT world, however. 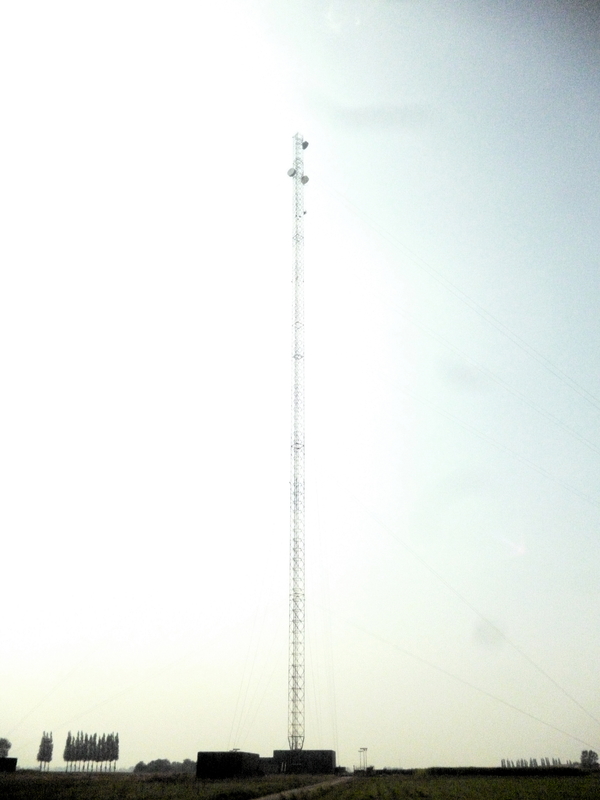 Despite purchasing a tall tower in a strategic place, they still aren’t as quick as contenders like….well, I’ll detail the fastest of the HFT competitors in Part III. I had a hard time visualizing the thought experiment in this post. It might be a good idea to add a timeline chart to make it easier to understand. Indeed, you are right, sometimes I’m lost myself! 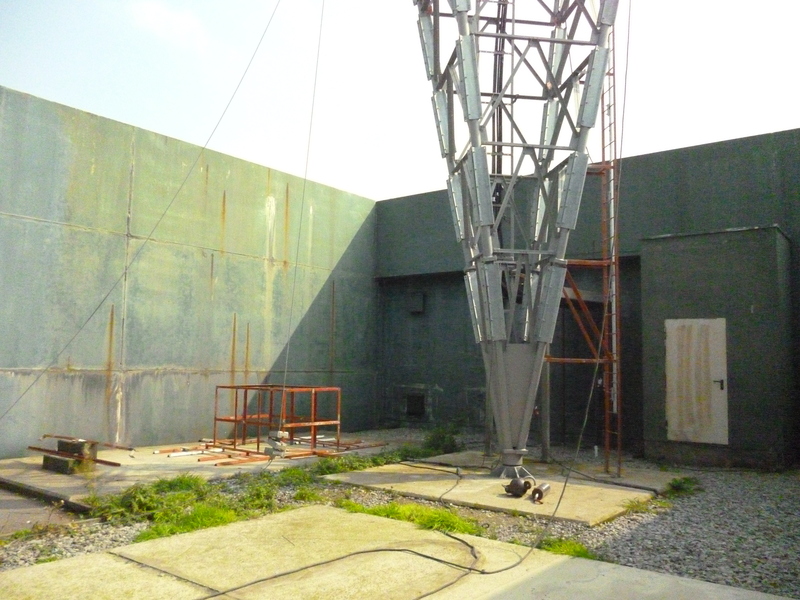 http://www.richboroughtmast.co.uk Global Vigilant is seeking to build a new mast in the UK. I was in the Air Force Stationed in Belgium, I helped install and maintain all of those sites. If you have any questions shoot me a note. Thanks a lot, and yes, I’ll contact you soon.